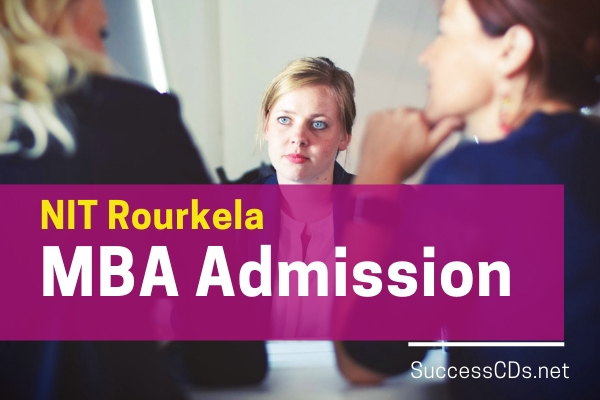 NIT Rourkela MBA Admission 2019 - National Institute of Technology (NIT), Rourkela invites online applications for admission to 2 years Master of Business Administration (MBA) Program for the session 2019-21. Applicants are advised to (a) read the advertisement carefully, (b) prepare a Demand Draft of Rs. 500/- in favour of “Director NIT Rourkela” payable at Rourkela , towards payment of application fee and (c) fill up and submit the online application form accordingly. Applicants are required to send hard copy of the signed application form along with the Demand Draft to the Registrar, National Institute of Technology, Rourkela, Odisha, Pin - 769008. However, candidates who will be called for interview are required to submit signed copy of the application form and a set of Xerox copies of all certificates to the HOD on reporting day of the interview. They also need to produce original certificates from HSC onwards for verification to the Academic Office at the time of admission.